Sara Lee in Australia has launched a new television advertising campaign for Moccona coffee, the third in a series of commercials filmed in Montevideo, Uruguay. “Room 18” is a story of a woman who keeps her happiest memories in empty Moccona jars. As she sips her coffee, she indulges in the memory of a kiss in Room 18 of a beautiful European hotel. 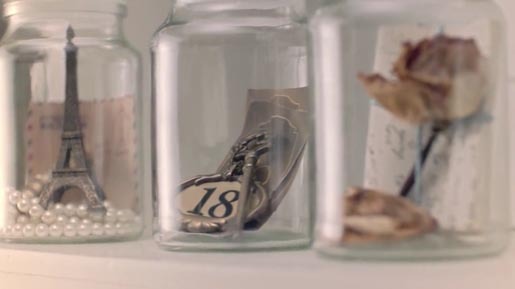 Room 18 was developed at M&C Saatchi Sydney by creative director Ben Welsh, creative team Lizzie O’Hara-Boyce and Jason Woelfl, head of television and content Rod James, group account director Yash Gandhi, working with Sara Lee managing director Lara Brans, marketing director Hilary Pulver and senior brand manager Megan Farquhar. Filming was shot by director Ben Briand via Prodigy Films with executive producer Nerissa Kavanagh, director of photography Adam Arkapaw, editor Adam Wills. Production in Montevideo, Uruguay was facilitated at El Camino Films. Music is by Elliott Wheeler at Turning Studios.